EA’s Origin game client is now listing the Standard and Deluxe PC Editions of DICE and Visceral Games’ recently announced shooter, Battlefield Hardline, for pre-order. System requirements have not yet been listed either, but you’ll notice the game’s official box art on the product page, which you can visit here. 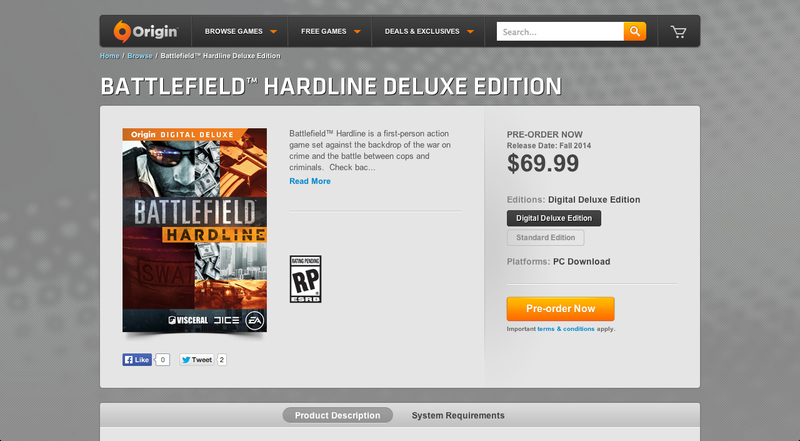 Also of note, the full PC version of Battlefield 3 is now completely free on Origin until June 3. You can read more about it here. 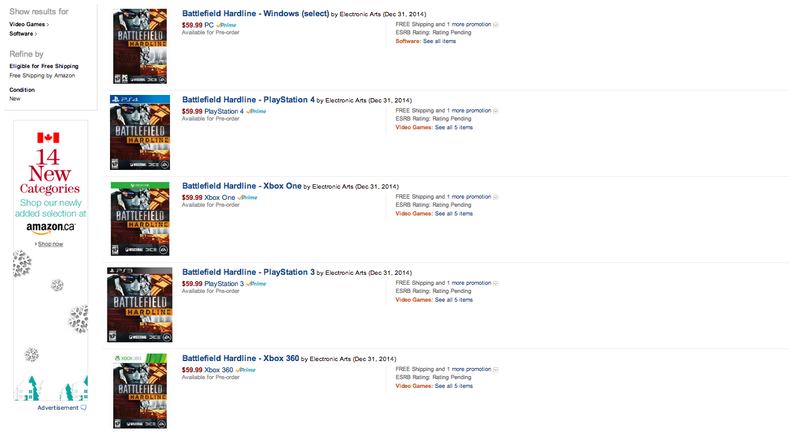 Battlefield Hardline is now also listed on Amazon for all platforms. Check it out here. 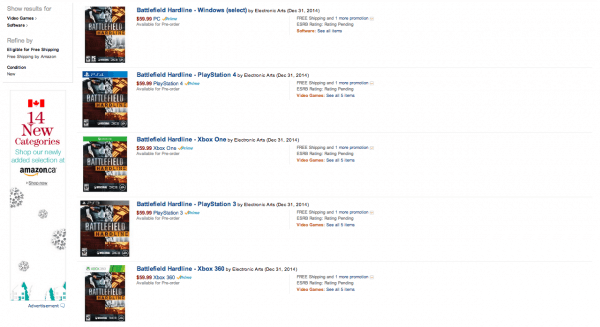 Battlefield Hardline brings the Cops vs. Criminals fantasy to life this Fall on Xbox One, PlayStation 4, Xbox 360, PlayStation 3, and PC. You can catch all the details we know so far right here.